I had to go up to Scotland on business in mid-March. I stayed in Linlithgow, about 16 miles due west of Edinburgh. Running along the north of the town is Linlithgow Loch, a beautiful stretch of inland water. On its southern bank sits Linlithgow Palace, the birthplace of Mary, Queen of Scots, and one of the principle residences of the Scottish monarchs of the 15th and 16th Centuries. I wanted to walk around the loch, a journey of just under three miles. However, my meeting in the town was at 8:30am and I would have to be showered, breakfasted and at the designated meeting room by then. My walk was not to be missed, so I set my alarm for 5:45am. I crept out of the hotel, where every floorboard seemed to creak and every door seemed to slam. As I reached the front door of the hotel I realised I had left my camera in my room, so crept back, waking up any guests who had not already been woken up the first time. When I got to the loch there was nobody around and the sun was only just coming up. The water was beautiful in its stillness and the silhouette of the palace stood silent against the glow of the waking sun. 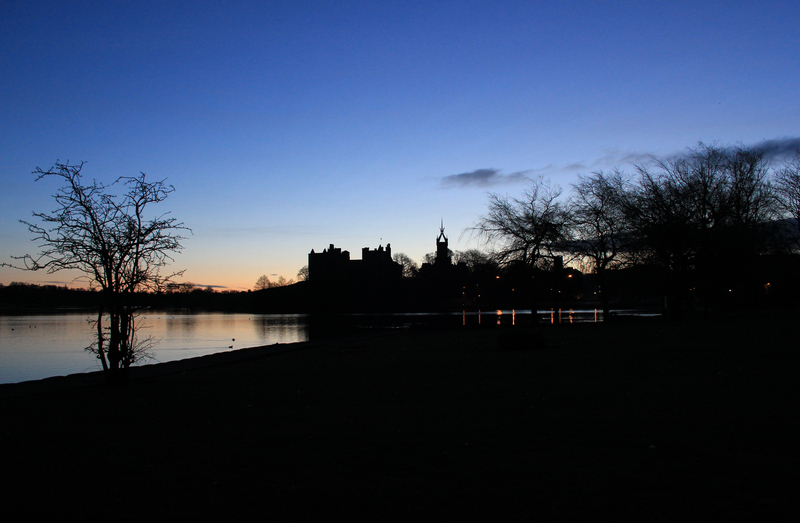 If you are ever a tourist in Linlithgow then you are sure to visit the loch and the palace, but my advice would be to try to do it at 5am in the morning! 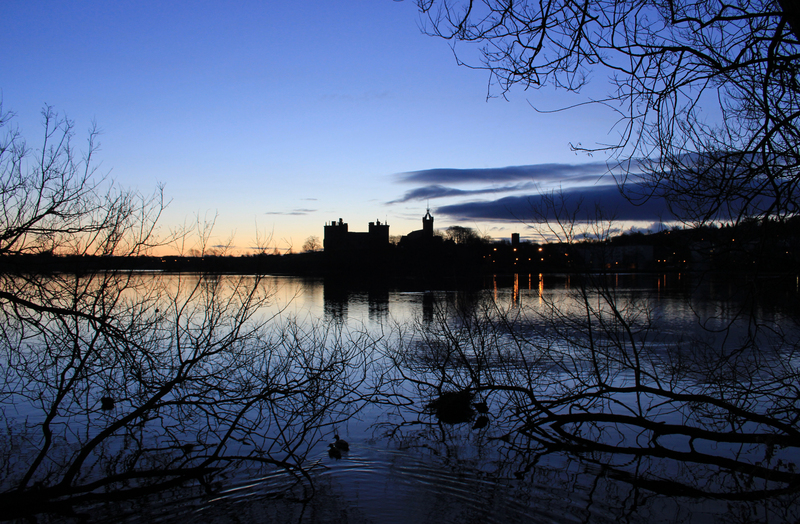 This entry was posted in Scotland and tagged dawn, linlithgow, loch, palace, photography, Scotland, silhouette, sunrise, travel, walking. Bookmark the permalink. Thank you! I know from your blog that you regularly get up at stupid hours to stumble around in the darkness – I now understand why! Lovely! I’ll vote for the sunrise walk any day!